Novak Djokovic in action in the Wimbledon semi-finals. 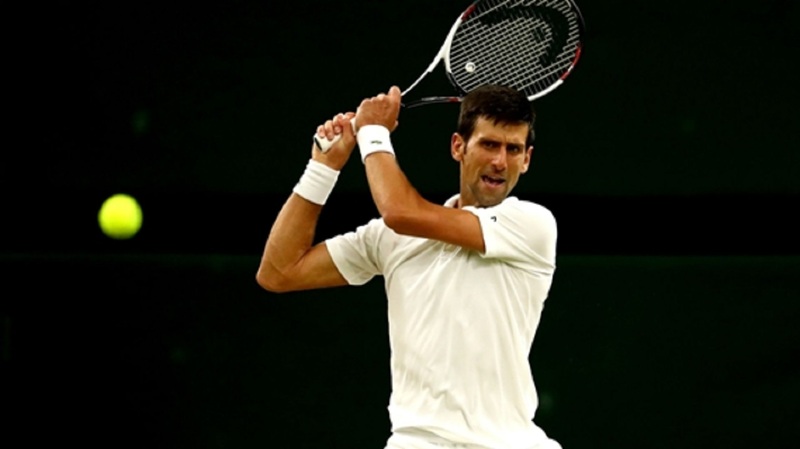 Novak Djokovic stood on the brink of a return to the Wimbledon final as he led Rafael Nadal 2-1 in a classic semi-final at the close of play on Friday. 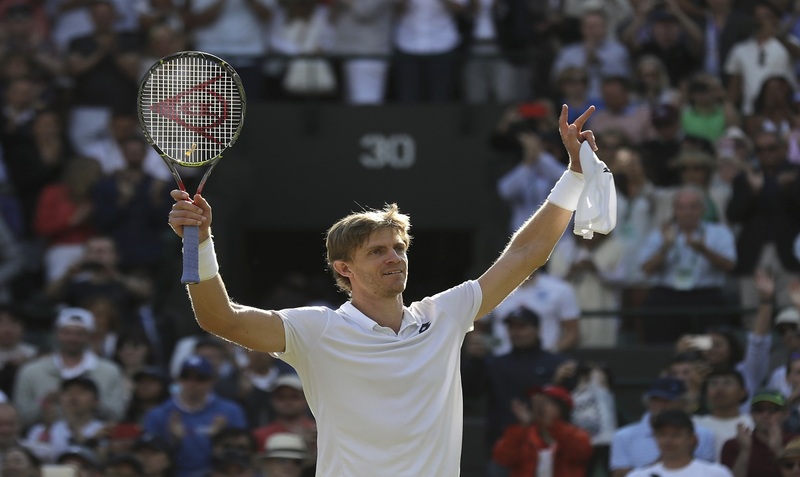 The prior six-and-a-half-hour marathon between Kevin Anderson and John Isner meant grand slam heavyweights Djokovic and Nadal were forced to play into the night under the Centre Court roof, finally halted at 6-4 3-6 7-6 (11-9) by the regulatory 11pm cut-off point. If the elongated earlier clash had more quantity than quality, the opposite was true of a sublime second semi-final. After Djokovic claimed the first set, Nadal levelled in the second after an almighty tussle that saw both men play some breathtaking tennis to bring a patient crowd to its feet. The famous rivalry continued into the third and a breathless tie-break in which Djokovic, without a grand slam final since 2016, edged in front. 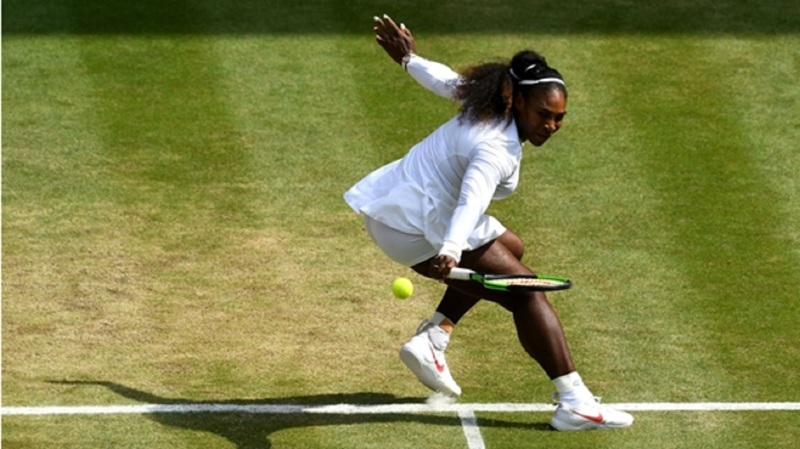 The nature of both last-four matches - and, perhaps, Anderson's earlier quarter-final epic against Roger Federer - will surely impact the standard of the tennis played in the final, but spectators can at least hope to see more of the same from Djokovic and Nadal on Saturday before that decisive showdown. 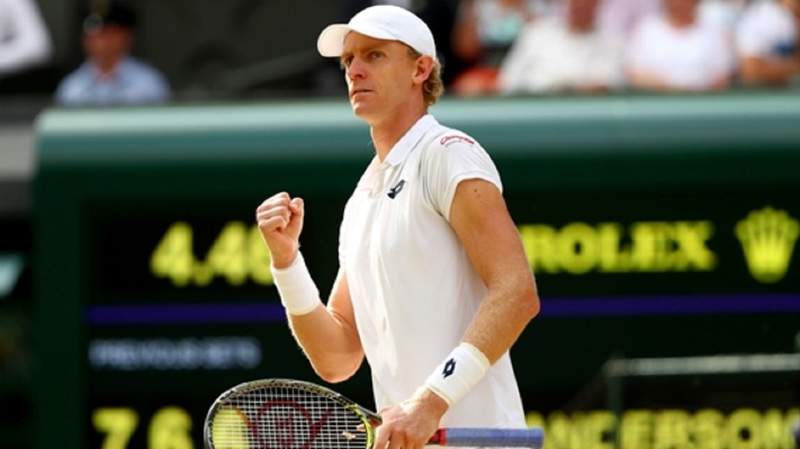 Having been made to wait several hours longer than expected, the two men took little time to get into the swing of things as Djokovic deservedly edged into the lead when Nadal was forced into the net at the end of a frenetic game. A hold to love secured the first set and Djokovic was quickly back on the front foot in the second, but he squandered his opportunities for a break and handed the initiative to Nadal. Djokovic's wild close-range forehand shot dragged well wide to give Nadal two break points, quickly capitalised on as the server found the net. Nadal was swiftly pegged back as Djokovic executed two sublime shots - one a delicate lob, the other a cross-court forehand - yet the quality of play did not dip and the Spaniard whipped a stunning shot away to his right to reclaim the advantage, before holding impressively to level the match at 1-1. Nadal pushed hard in the third, but found an obstinate Djokovic able and willing to fight to hold his serve and reach a first tiebreak. Mini-breaks were traded throughout as the pair forced one another to chase majestic drop shots, Djokovic measuring one effort to perfection as Nadal served for the set. And Djokovic's speed allowed him to reach a Nadal drop shot and then serve out the set himself to bring down the curtain on an extraordinary day's play.